If you were a student in college, working on a startup idea, what would spur you to drop your education plans, and go full time on your startup? 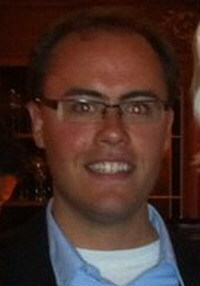 For Scott Ferreira, the founder of MySocialCloud.com (www.mysocialcloud.com), it was an investment from Sir Richard Branson and Jerry Murdock. We talked with Scott--who until recently, was a student at the University of Southern California--about how he created his company and how that investment from Branson pushed him to take his startup full time. First off, what is MySocialCloud? Scott Ferreira: MySocialCloud helps user manage their online life, through three tools. One, is the discovery of awesome content, two is a place to store and publicize that awesome content, and three is being able to save your usernames and passwords to literally any site on the web, and automatically log you into those sites. All of those are problems that people have had to deal with at some time or another. When you use Facebook, you get lots of junk from Mafia Wars, Cityville, Farmville, and all of that, and it can be nightmarish. We've built something that filters all of that stuff out for you. Unlike most companies that filter content, we filter things based on your friends, and rather than using some algorithm, we provide you with information based on what your friends are looking at, the videos they're seeing, pictures they are enjoying, and articles they find interesting. We understand you were in school when you started this? Scott Ferreira: It's been a long time coming. I started playing around with a similar idea in my freshman year. That was because my computer had crashed, and I lost my spreadsheet which hosted all of my usernames and passwords. It was a rather traumatizing experience, and if I had lost that Excel spreadsheet, I would be in a world of hurt. So, I created my own online area to keep all of my usernames and passwords, and one thing led to the next, and soon my friends were asking me to create them their own accounts. By the end of my sophomore year, I decided to go after this full time, and that's when I officially brought on a CTO, Shiv Prakash, and we went at it in the summer of 2011, and the rest is kind of history. We understand this whole effort was actually backed by Sir Richard Branson? Scott Ferreira: Yes, that's correct. That same summer, Richard Branson actually sent out a note looking for people to nominate young entrepreneurs doing exciting things in their field. We sent in our resumes, an application about what we were doing, and after probably just two or three emails back and forth with one of his secretaries, he asked us to get to Miami in 48 hours. That was a really short timeframe, but we were able to pull it off, and my sister and I actually went to present for him. He really took to the idea, and enjoyed it. After that weekend in Miami, he introduced us to his friend Jerry Murdock, who has invested in lots of tech companies. The two of them liked what we were up to, were intrigued by it, and gave us our initial set of financing. Both have been great mentors ever since. Jerry especially has so much domain knowledge, and Branson has a very entrepreneurial mindset, they've been great to work with. Was that investment how you decided to drop out of school to launch the service? Scott Ferreira: Yes, it was part of it. The whole getting funding and everything made me realize we had to be on this full time. We were just starting to do a lot of awesome stuff, and lots of people were picking up on what we were doing. It was pretty much our do or die moment. In August, I decided it didn't make sense to go back to school right now. Fortunately, USC, where I was a student as, is really good about that, and gave me two years off as a leave of absence, and happily gave that to me. Why does the world need another social sharing site? Scott Ferreira: I think that most of the sites don't do these things very well. There are lots of sites where you can do one thing, such as find content, and some sites that allow you to save content. There are also a few programs which let you save your usernames and passwords. They are all very separate, and I think they don't seem to be solving the problem very well. I personally had been using LastPass and Delicious before any of this came to mind, but they were not cutting it for me. LastPass is not the greatest user interface unless you are a tech person, and Delicious is also more of a tech person's way of curating the web. I decided to tackle the very real problems everyone has, and not just tech people, and try to create a solution for everybody. That's very much what we've been doing. Whta were you studying before the startup? Scott Ferreira: I was actually studying architecture. I guess I am a big fan of building and creating communities, and that was what I was going to architecture school for. Building a service online is a very similar thing, and the Internet is just another way to have a community and be with other people. I've been creating things since I was thirteen, when I was involved in the nonprofit, the Open Table. I then joined JomSocial, where I was able to get some web experience, and I went on to work on database systems for two years, from age 16 to 18. Those two things were very relevant to learning how to start a company, and how to think critically about building things online. I think that's a huge part of what is making us pretty successful, the ability to think through and do some really cool technological things that people thought weren't possible. What has been the hardest part of the startup experience so far? Scott Ferreira: I would say just maintaining speed. Especially with such a small team, we're all working very long hours, and we sometimes get burnt out very quickly, especially during high intensity pushes. I think that is pretty prevalent in the web startup sphere, but just maintaining speed can be very difficult when you're working eighteen to twenty hours a day.